There’s a full programme of events happening at the University’s stand on the Maes, offering a range of activities open to all, from the ‘reunion’ of former students, which in the last decade has fast become a popular Eisteddfod ‘tradition’, to the live music on the Friday afternoon. 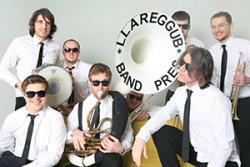 This year, Band Pres Llarregub have been invited to bring their unique sound, and they’ll be followed by a performance by the Neuadd John Morris Jones Aelwyd Choir. There’s more live music from Fleur de Lys on the last Saturday also. Pontio, the University’s Arts & Innovation Centre hosts a re-run of the successful Llechi music and spoken word performance curated by folk band 9 Bach in Pontio’s Theatr Bryn Terfel on Monday and Wednesday. Eisteddfod goers can sample or preview current and upcoming projects at several different locations on the Maes through the week. These include part of the Llif Project which can be seen in the Lle Celf gallery, and projected digital images from the ‘Caban’ poetry project with local school children, which will be seen around the Maes. In the Eisteddfod’s Science & Technology Pavilion, the University will be running a range of science activities, from psychology, chemistry and photonics to marine biology, language technologies and computing skills to attract and amuse children (of all ages!) 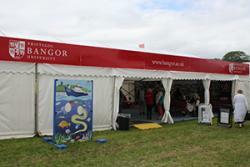 Bangor University is again one of the main sponsors of the Science & Technology pavilion, reflecting the University’s commitment to working within communities and to promoting the STEM (science, technology engineering and mathematics) subjects. The Eisteddfod Science & Technology Committee has been Chaired by Prof Alan Shore, of the University’s School of Electronic Engineering, who also delivers the Eisteddfod’s Science Lecture, as well as the Learned Society of Wales Eisteddfod Lecture. 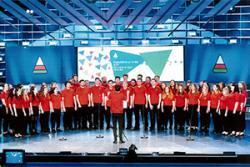 The major Eisteddfod competitions are the highlights of the week. This year, the Prose Medal adjudication will be discussed Prof Gerwyn Wiliams of the University’s School of Welsh and the School’s Prof Peredur Lynch will present the adjudication for the Chair on Friday. Manon Wyn Williams, Scripting Lecturer with the Coleg Cymraeg Cenedlaethol at the School of Welsh has written Hollti, Theatr Genedlaethol Cymru’s production, which is being perfomed at Ysgol Bodedern throughout the week, before touring Wales later this year. Numerous individuals from the University are contributing to this year’s Eisteddfod, delivering lectures or taking part in meetings and discussions on a wide range of topics.